Get 5 amazing cloud apps coupons worth $5,490. Only $49! The HBundle is valued at $5,490, but you can buy it today for just $49. That’s 99% off. We’ve handpicked 5 top cloud web applications for hospitality for this very special bundle. What you get for $49 ($5,490 value) ! Frontdesk Anywhere is the smartest web based Hospitality PMS Software to manage reservations, online booking and TripAdvisor integration for hotels, motels, suites and resorts. Internet is the first source of revenue for your hotel. Progress9 can help you in your web and digital strategy. Hotelcloud builds e-concierge applications for hotels and apartments, enabling guests to discover and order in real time any internal service as well as local activities. With its high-end algorithms, Pricematch gives your access to all the features of a good revenue management solution, at a competitive price point. With Contract Live, creating, signing and managing all your contracts becomes as simple as sending an email. Do I have to signup with all the services above? No! You can choose the ones you are interested in. After your purchase, you will receive a link to a PDF with instructions on how to redeem each offer. 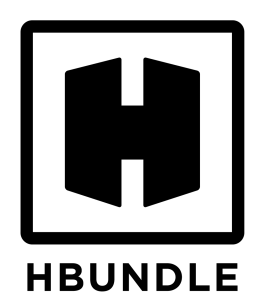 If you need help just email hbundle@thehotelcloud.com. Until when can I redeem this bundle offers? See each app conditions above. Can I sell or transfer my purchased bundle? No, you can’t! Each bundle can only be redeemed by the owner of the email address used during the checkout process. If you want, you can gift a bundle by clicking on the “gift icon” during checkout. Each year, Google publishes a travel study that shares key insights about US traveler shopping behavior. 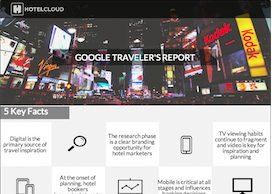 This year’s report, the 2014 Traveler’s Road to Decision, hasn’t been published yet (official Google Travel website) but Hotelcloud got a copy and shares an illustrated summary with you.